Hands-on resources for new and seasoned school coaches This practical resource offers the foundational skills and tools needed by new coaching educators, as well as presenting an overview of the knowledge and theory base behind the practice. Established coaches will find numerous ways to deepen and refine their coaching practice. Principals and others who incorporate coaching strategies into their work will also find a wealth of resources. 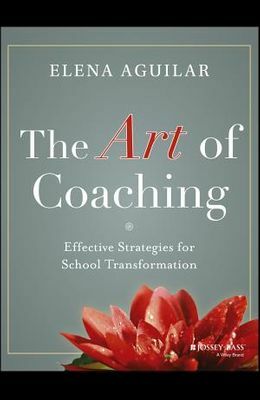 Aguilar offers a model for transformational coaching which could be implemented as professional development in schools or districts anywhere. Although she addresses the needs of adult learners, her model maintains a student-centered focus, with a specific lens on addressing equity issues in schools. Offers a practical resource for school coaches, principals, district leaders, and other administrators Presents a transformational coaching model which addresses systems change Pays explicit attention to surfacing and interrupting inequities in schools The Art of Coaching: Effective Strategies for School Transformation offers a compendium of school coaching ideas, the book's explicit, user-friendly structure enhances the ability to access the information.